Molly. Oh Molly. Y’all know I love a Pinup Girl Clothing dress–PUG simply fits me like no other brand does, which means at any given time I inevitably have 10-20 items on my wishlist waiting to one day join my fairly extensive collection. The Molly dress is one of those wishlist items that has been chilling in my virtual One Day closet ever since she was released last summer. She comes in 4 colourways–navy with white polka dots, yellow with white polka dots, black cherry print and white cherry print–and I’ve been lusting equally over both the navy and yellow versions for months, never quite sure which one to choose until PUG graciously offered to send me a Molly of my own. It came down to little more than a mental flip of a coin, but I opted for the navy, my love of nautical colourways winning out. The Dixiefried Vintage Bustier top by Pinup Girl Clothing isn’t a new piece, but it’s recently undergone a design alteration so that it fits slightly longer than the previous cropped version, making it easier to tuck into your high-waisted retro bottoms, whether that be shorts, skirts or pants. 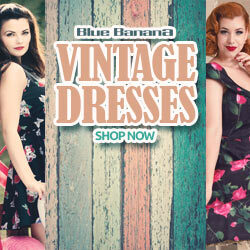 It’s fully boned, fastens with buttons at the back, and features a beautiful ruffle trim. 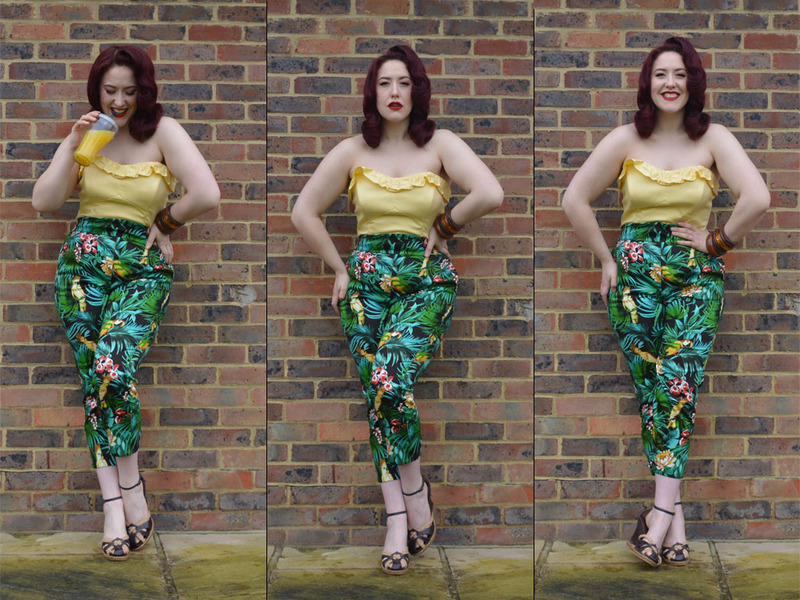 If you follow me on Instagram you’ll have seen me wearing the yellow version lately with my Laura Byrnes California High Waisted Parrot Print Pants, giving myself all sorts of tropical sassy feels and feeling a bit like a tiki princess.